An Iranian scientist who had obtained a visa to conduct research at Brigham and Women’s Hospital was twice prevented from entering the United States under President Trump’s immigration order — even after two federal judges issued a restraining order against the president’s ban, according to a lawsuit filed Wednesday in Boston federal court. 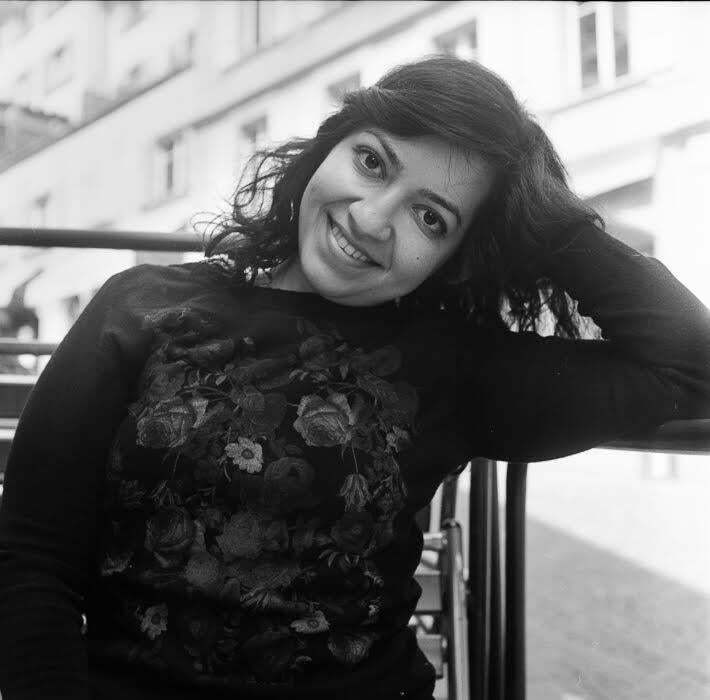 The lawsuit by Samira Asgari, who holds a doctorate from École Polytechnique Fédérale de Lausanne in Switzerland, also alleges that US Customs and Border Protection agents threatened Swiss International Air Lines that the carrier could be fined up to $50,000 if it allowed Asgari to board a flight and tried to land in the United States. The legal action was filed against Trump, the Department of Homeland Security, and Customs and Border Protection officials. The lawsuit is the latest to tell the story of people with lawful visas attempting to enter the United States only to be turned away, and it comes as the American Civil Liberties Union of Massachusetts argued in a separate lawsuit that the US government has failed to comply with the restraining order. A hearing on the ban is slated for Friday. The 30-year-old scientist specializes in genomics, infectious disease research, and computational biology, and her work focuses on the role of genes in susceptibility to infections and the progression of infectious disorders, particularly pediatric infections. Despite federal court orders, some are not being allowed to board planes because the State Department had already revoked their visas. She received a grant from the Swiss National Science Foundation in October 2016, and was a finalist for the American Society of Human Genetics’ Charles J. Epstein Trainee Award for Excellence in Human Genetics Research in October 2015. She had been recruited, the lawsuit said, to work under Soumya Raychaudhuri, a scientist at the Brigham, on a project focusing on tuberculosis. “It was hoped that this research would further the collective understanding of translational medicine, and lead to the development of safer and more effective drugs for the treatment of tuberculosis,” the lawsuit says. Asgari says she applied for her visa in November, and resigned from her position in a genomics laboratory in Switzerland, arranged to lease her apartment, and on Jan. 25 received confirmation from the US Embassy in Switzerland that her visa had been approved. It was issued Friday, and she made immediate arrangements to fly to Boston. Later that day, Trump issued an executive order halting all refugees from coming to the United States for four months, barred Syrian refugees indefinitely, and prevented citizens of seven majority-Muslim countries — Iran, Iraq, Yemen, Somalia, Sudan, Libya, and Syria — from entering for three months, even if they had valid visas. Asgari was not aware of Trump’s order, and on Saturday completed the first leg of her journey to Boston, traveling aboard a Lufthansa Airlines flight from Zurich to Frankfurt. But when she arrived at the gate to board a flight from Frankfurt to Boston, she was turned away, according to the lawsuit. A person at the gate who identified himself as a representative of the United States told Asgari she was ineligible to board because of the executive order issued hours earlier. 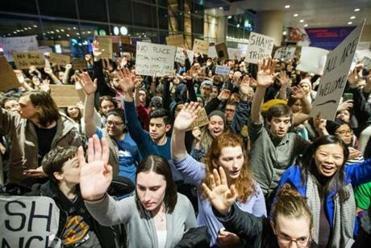 Meanwhile, according to the lawsuit, other travelers with visas were being detained at Logan International Airport. The detentions led to an emergency lawsuit filed by immigration lawyers and the American Civil Liberties Union. US District Judge Allison Burroughs and US Magistrate Judge Judith Dein issued a temporary order preventing the government from detaining or deporting anyone with a valid visa, and they ordered Customs and Border Protection officials to alert airlines that people flying into Logan with valid visas should not be detained or deported. Asgari, according to the lawsuit, believed she would have been protected by the restraining order, and she booked a new flight direct from Zurich to Boston. She would leave Monday and arrive Tuesday. This time, according to the lawsuit, a Swiss Air Lines representative called her to tell her she would not be permitted to board the flight. Asgari said she tried to explain the restraining order, but had no luck. She arrived at the airport gate anyway, and an airline representative told her she could not board. She showed the judicial order, only to be turned away. Meanwhile, Asgari’s lawyers in the United States had tried to tell Customs and Border Protection agents she could board the flight, to no avail. “We do not read the court’s order to require such action,” a Department of Justice lawyer allegedly told one of the lawyers, according to court documents. Asgari remains in Switzerland, “unable to commence work at Brigham and Women’s Hospital,” according to the lawsuit. The lawsuit asks that she be allowed to enter the United States. Maria Sacchetti can be reached at maria.sacchetti@globe.com. Milton J. Valencia can be reached at milton.valencia@globe.com.